Discovered the work of Grayson Perry. 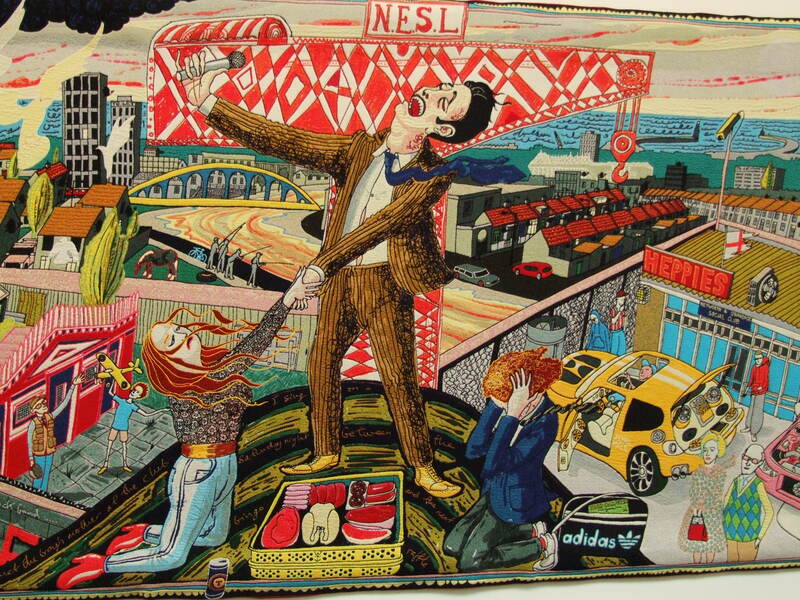 I Particularity like his tapestries exploring the areas of social class, greed, consumerism and politics. Humorous and entertaining yet also very deep, meaningful and undoubtedly satirical. Recently exhibited in the Victoria Miro Gallery, London. “The tapestries tell the story of class mobility, for I think nothing has as strong an influence on our aesthetic taste as the social class in which we grow up. I am interested in the politics of consumerism and the history of popular design but for this project I focus on the emotional investment we make in the things we choose to live with, wear, eat, read or drive. Class and taste run deep in our character – we care. This emotional charge is what draws me to a subject”.